This picture represents 4 generations of women. 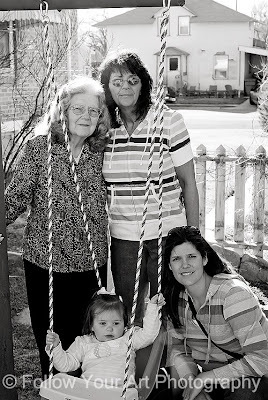 My grandma, my mother, me and my daughter. Aww! We have a six generation picture with the ladies of my mom's side when I was born, and then we have one as well with from my father's side when my son was born. I wish that I would have been more into photography back then!